Videos from users are beginning to appear online documenting the events onboard the Disney Dream and Disney Fantasy during Hurricane Sandy. Here is a collection of videos compiled mostly from YouTube. I will try to break them out by ship and add more when I find them. 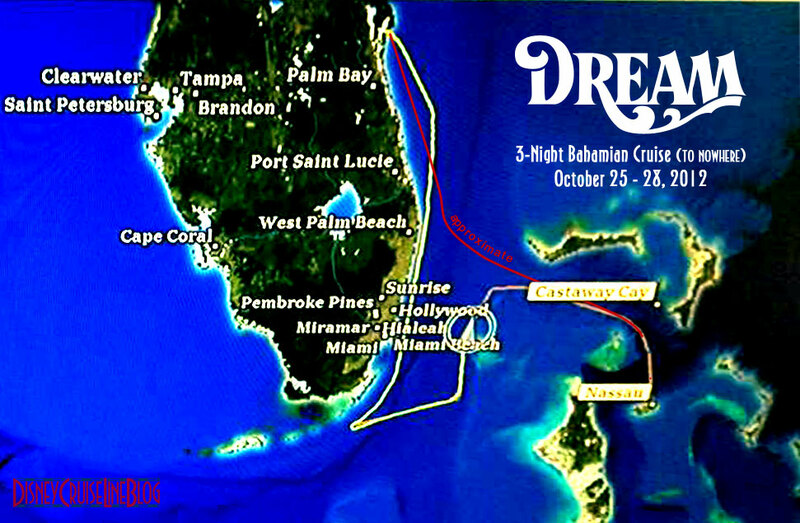 Video from Cocoa Beach as Dream Sails away 10/20/2012. This entry was posted in Hurricane Season 2012, Sandy, Video and tagged Disney Dream, Disney Fantasy, Hurricane Sandy, Tropical Storm Sandy by Scott Sanders. Bookmark the permalink. I read in these postings that besides damage to the Fantasy gift shops, it also sustained stabilizer damage. Do you have confirmation on damage to the Fantasy. Any word on the condition of Castaway Cay.? We are sailing in a few days. The Dream was originally going to Castaway Cay Tuesday. 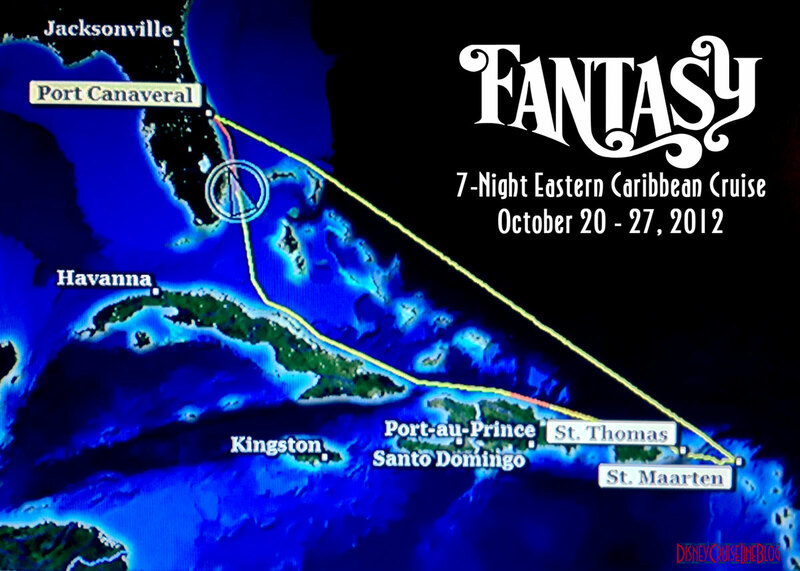 To give more time to the cleanup effort the Dream will be at Sea on Tuesday and Castaway Cay on Wednesday. I do not have any confirmation of stabilizer damage on the Fantasy. 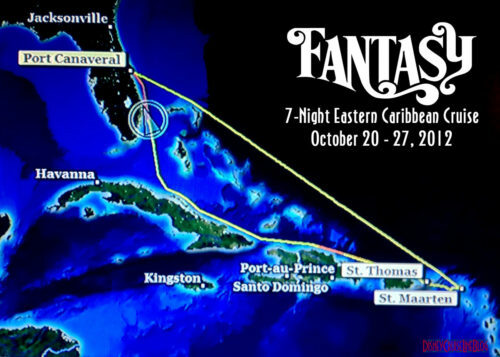 Im interested also, what effects on the future sailings – we depart Nov 10th ? There was more damage than just the gift shops, but most of it behind the scenes (in particular the dining rooms and especially the bars, where we heard the crash of bottles and glasses on the floor). I think this was probably taken care of by the big crew that came onto the ship on Saturday morning. Thank you Scott Sanders. Would you know if the AquaDuck is in usable condition on the Fantasy? Scott, I don’t know how long you’ve had this website but have you ever seen anything like this before? My advise… don’t go. Just don’t do it. I was on the Dream last week during the storm. I will never cruise again. Cancel your trip. It was the worst experience of my life. have been on the same cruise as Judy – we didn’t know either that the ship has been suffering this much from Sandy. The only thing we noticed was a shattered window in Cabanas (which we can’t confirm happened during the “hurricane sailing” – but we guessed). Castaway was also great – given what has happened a couple days before. The only thing like Judy mentioned – pretty much all Port Adventures have been cancelled due to still kinda rough seas. While celebrating our 50th Wedding Anniversary w/ 30 of us aboard The Dream the week before Sandy, it was the most marvelous time of our lives w/ the family…little did we know how fortunate we were (Thank you, Jesus).